Happy Saturday! I've been super busy in the kitchen today! My neighbor stopped by with 4 squash from his garden and he also let my daughter and I pick all of his green beans! We ended up with a big bowl full, so I decided to try pickling some green beans. If the recipe turns out, I will be posting it very soon! I also made a yummy apple cake that you will be seeing next week! 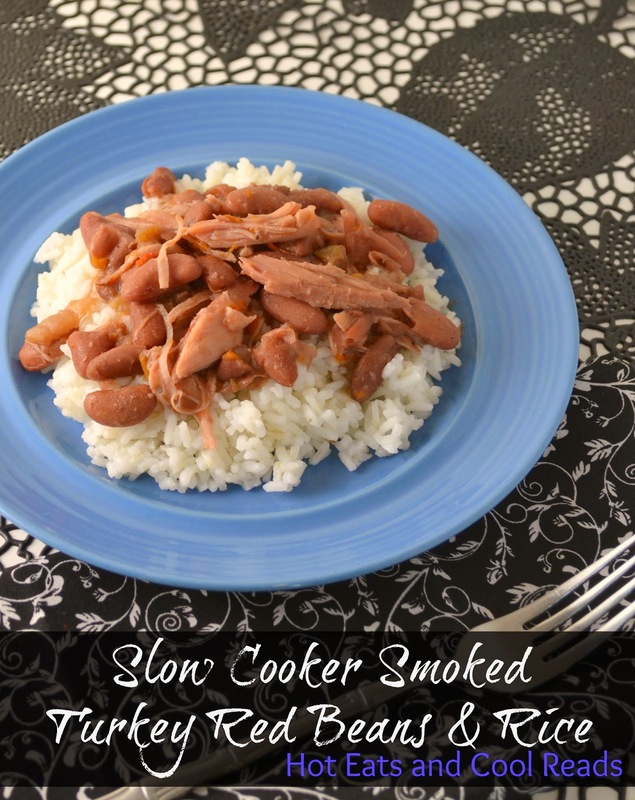 We all love slow cooker recipes, so today I'm sharing my recipe for Slow Cooker Smoked Turkey Red Beans and Rice! They have tons of flavor and are really good leftover for lunch the next day at work. I love the smokey flavor from the turkey and the beans taste amazing. I'm such a fan of the slow cooker in the summertime. No heating up the house using the stove! I hope you enjoy this recipe! Rinse and sort through the dried beans. Put all ingredients in the slow cooker and pour the water over the top. I used about 6 cups water total. You may need to adjust accordingly. Cook on low for 6-8 hours until the beans are tender. Within the last hour, take out the turkey wing, and shred the meat from the bone and stir back in with the beans.